Sometimes a man has to go away to come back. 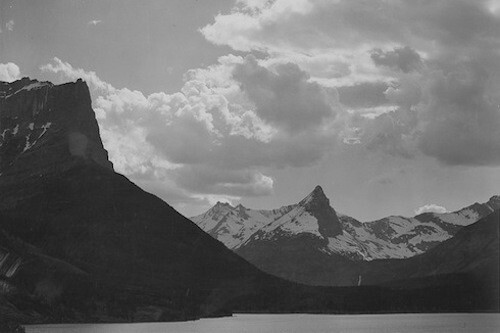 Accordingly, The Minimalists are moving to Montana. No, that is not a typo. As of October 1, 2012, we are residents of the Treasure State, two Ohio transplants residing in a remote cabin about an hour outside Missoula, two hours from the Idaho panhandle, sort of doing an updated version of the whole Thoreau thing (with Wi-Fi). It’s every author’s clichéd dream—to find a mountainside cabin with picturesque views, to toss another log on the crackling winter fire as snow blankets the ice-covered river beyond the windowpanes, to remove the distractions of the emotionally exhaustive rat race and start working on his or her most important work—right? Alright, maybe that’s not everyone’s aspiration, but after last week’s publication of our new book, Essential (N.B. thank you to everyone who helped this book debut at #1 on Amazon), and after The Minimalists’ beautiful site redesign by our friends at SPYR Media (Jeff and Dave did a bang-up job), the time seemed right for us to do just that: to relocate to a secluded spot in Big Sky Country to work vigorously, learn ferociously, and grow immensely. Consequently, for at least the next three months—perhaps longer—we’re going to hole up in our new home in the wilderness and focus. Are you curious about our new cabin-on-the-mountainside set-up? Want to see what it looks like? Stay tuned. Find us on Instagram and Pinterest and Twitter to check out new photos as we post them; or subscribe to our free essays via email, and we’ll send you a photo tour of our new dwelling in the coming weeks. You might be asking yourself: These guys could live anywhere in the world; why’d they choose Montana as their new home? Good question. To tell the truth, we wouldn’t’ve even considered Montana until we finished our 33-city meetup tour, during which tour we witnessed an entire spectrum of beautiful places throughout the United States and Canada; we visited 40 states and innumerable big cities and small towns, and we discovered much of North America’s greatest offerings, from the bright lights and bustling streets of Chicago and NYC to the sunset beaches of San Diego and St. Petersburg, FL. And when the tour was over, we shuttled our tour bus (Ryan’s 2004 Corolla) from Vancouver to Ohio, and we traveled through the most beautiful place we’d ever caught sight of: Western Montana, driving past its flannel plains and evergreen mountains and skylines from a cowboy cliché, and past its cobalt rivers overhung with century-old pines with flecklets of sunlight through them on the water bending downriver, to the place beyond its sprawling canyons, where fields divided by train cars simmer in the summer heat and time stands still. We knew it then: she was the one. Montana, rightfully christened The Last Best Place, was the place we wanted to go to finish the work we’d started and begin working on our next big thing(s). The time had come for us to hunker down and do some serious work, what musicians often refer to as woodshedding. To get what you want, you must be willing to take action; you must be willing to do the work. These days, the two of us have little desire for new material possession (though that baleful yearning still lingers from time to time), but we do want to be successful. And success for us has little to do with money or possessions or status. Rather, success is a simple equation: Happiness + Growth + Contribution = Success. That’s the only kind of success we know. Hence, we want to partake in work that makes us happy, work that encourages us to grow, work that helps us contribute beyond ourselves. Ultimately, we want to create more and consume less. Doing so requires real work. Primarily, we’re headed westward to work on our next big thing: a new narrative nonfiction project tentatively titled Everything That Remains. Because it’s a work in progress, we’ll omit most of the details other than to say that this project will focus on our individuals stories—highlighting our deep personal struggles, past and present—in ways we haven’t yet been able to discuss. Stay tuned. Before the sun sets on 2012, we’re going to publish two more (already written) books: Joshua’s solo essay collection, A Day in the Life of a Minimalist (November), and his novel, As a Decade Fades (Christmas Day). We’ll also publish audiobook versions of these books, as well as audiobooks for several of our existing books. Ryan will continue to write his current book-in-progress, Unstuck, a short book designed to show people how to identify the obstacles in their lives and develop a specific plan to remove those obstacles—going from stuck to unstuck. Joshua (ahem, professor Millburn) will teach the fall semester of his online writing class (only two open seats remain as of this writing), as well as a fiction/narrative nonfiction class in January. And Ryan will continue to take on five new private mentoring clients each month (he’s nearly booked through October). What’s more, we’re considering planning another, albeit smaller, meetup tour to coincide with a few upcoming national media appearances and speaking engagements we have planned in early 2013. Details forthcoming. Lastly, we recently inked publishing contracts between Asymmetrical Press and three talented authors: Shawn Mihalik, Chase Night, and Robyn Devine. These are the first three people to sign with Asymmetrical. All three authors will publish books through Asymmetrical in 2013. And of course, we’ll continue to publish free, quality content regularly on our website. 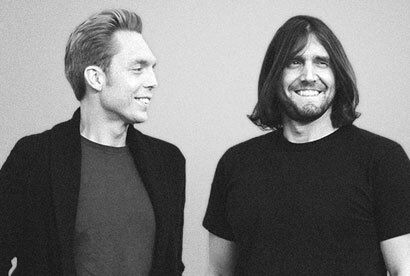 The essays at The Minimalists remain our top priority. Although our plates appear full, it’s not because we piled on a bunch of work at once. That would be silly. In fact, we did the opposite. The above productivity-stack is the culmination of several years of hard and steady—yet enjoyable—work. We took on new projects one at a time, only when we felt comfortable with where we stood, only when we knew we could handle them, only when we were certain we could produce high-quality content. Now that it’s all coming to a head, we need to focus. Habits. Routines breed habits. While bad routines breed bad habits, the opposite is also true. By shedding many of the distractions in our lives, we’ll become even more focused on what’s important, developing the muscle of good habits—diet, exercise, relationships, meditation, contemplation, consistently doing the work, &c.—allowing us to be more productive in an attenuated timeframe. Variety. We’ve both lived in the Midwest for most of our lives (Joshua hasn’t lived anywhere but Ohio), and during our travels over the last year, we’ve learned that variety sparks creativity, inspiration, excitement, and lasting contentment. Variety also means dealing with uncertainty. There is a direct relationship between someone’s ability to handle uncertainty and his or her happiness. Impermanence. On a long enough timeline, everything is ephemeral. Whether its a 30-year mortgage or a month-to-month lease, nothing lasts forever. We want to embrace this impermanence and enjoy the moment, enjoy our habits, enjoy the work, and enjoy our lives. We want to enjoy the good times and then let it go; we want to learn from our mistakes and failures and then let those go, too. Active vs. passive engagement. We’re not robots (well, Joshua might be), so of course we’ll still have downtime. But we want to use that time mindfully, which means involving ourselves in active activities vs. passive ones. Instead of veg-out in front of the television, we will opt to wake early and read or meditate or hike or hit the slopes at the nearby ski resort (whose slopes happen to be viewable from our new home’s window). We’re also going to try our hand at writing music (Ryan is a closet crooner; Joshua, a wannabe songwriter), a fun endeavor that’ll help us grow. Are you guys moving back to Ohio after your stint in Montana? The honest answer is that we don’t know where we’ll end up after this; we don’t have any specific plans. We love Dayton; there are many people we love there; it’s a great city—blue collar and unpretentious and small enough to not get lost in the rapacious lights of a big city—and thus we might soon move back to the birthplace of aviation. Or we might stay in Montana. Or we might go somewhere completely different. But we’re here now; we’ll embrace this impermanence and see what happens next. One thing’s for sure, though: whatever is “next” for The Minimalists, it must allow us to grow as individuals; it must allow us to contribute to others in meaningful ways. Ergo, the possibilities are endless. Also read the Boston Globe‘s article about The Minimalists: Like Henry David Thoreau, but with WiFi. Update: In February 2013 we moved to Missoula, Montana.